At least 89 people have died after flash floods and landslides tore through Indonesia’s Papua region, with the toll expected to rise further as rescuers hunt for dozens still missing, the National Disaster Agency said Tuesday. 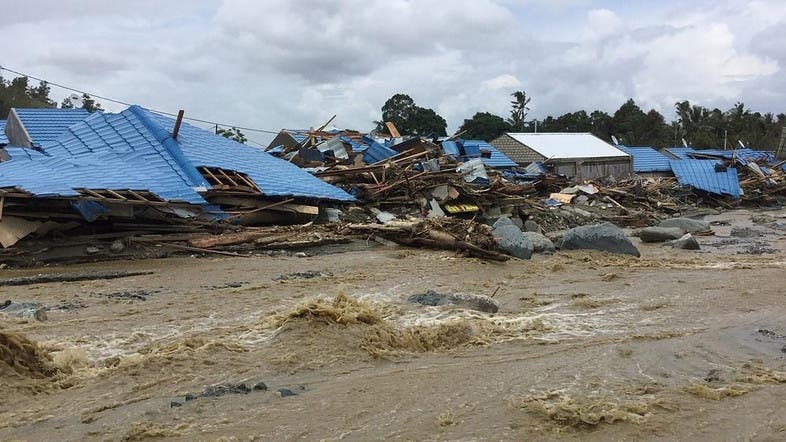 “Many people are choosing to stay at shelters because they’re still traumatized and scared of more flash floods, so some evacuation centers are packed,” said National Disaster Agency Spokesperson Sutopo Purwo Nugroho. Flooding is common in Indonesia, especially during the rainy season, which runs from October to April. Meanwhile, three people were killed, including two Malaysian tourists, and some 182 were injured after an earthquake Sunday triggered a landslide on the Indonesian tourist island of Lombok, next to Bali.